The Federal Bureau of Investigation and the Department of Justice’s woes are not over. Inspector General Michael Horowitz released a damning report that justified President Trump’s firing of former FBI Director James Comey, whose actions during the 2016 election were labeled as extraordinary and insubordinate, and outlined various issues with the FBI, which has a huge problem with leaks. The report was on the activities of the DOJ, FBI, and its principles during the Hillary Clinton email investigation. It was a criminal investigation into whether she mishandled classified information through her unauthorized and unsecure email server while serving as our secretary of state under Obama. There’s also the issue of bias. Now, the IG report said that bias did not impact the outcome of the investigation, meaning a) the investigation could be completed without issue in general; and b) the bias did not impact it in a way that produced partisan outcomes. That’s very different than saying there was no bias. 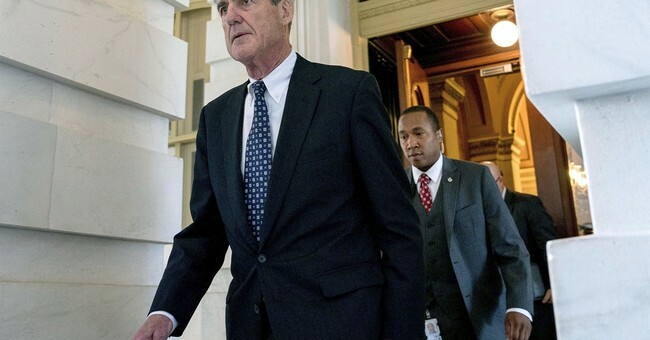 There were at least five FBI officials who exhibited anti-Trump bias; you already know FBI agent Peter Strzok and bureau lawyer Lisa Page. The two had an extramarital affair, sent tens of thousands of texts that were anti-Trump, and discussed how they would stop Trump. Oh, and how the bureau might be going too hard on Hillary Clinton as well. Are people thinking this is a witch hunt? For Trump’s base, yes—absolutely, but there’s also the other aspect that this has run its course. Voters don’t care about Russia. They’re tired of it. And with no evidence to support a Manchurian Candidate-like plot, maybe it’s time to close up shop. And yes, it is time for this probe to end. Trump's 2020 campaign manager, Brad Parscale, said it was time to not only end the investigation, but fire Attorney General Jeff Sessions.